It is a pleasure to welcome Natacha Guyot who is a French researcher, public speaker and author of both fiction and non-fiction publications. Welcome Natacha to The Adventures of the Everyday Fangirl and thanks so much for taking the time out your busy schedule to help us get to know you and your latest publication, Dream Crusher, better. Dream Crusher relates to a threat featured in the novella. The universe is called the Dantek System Records, based on the system where the story takes place. 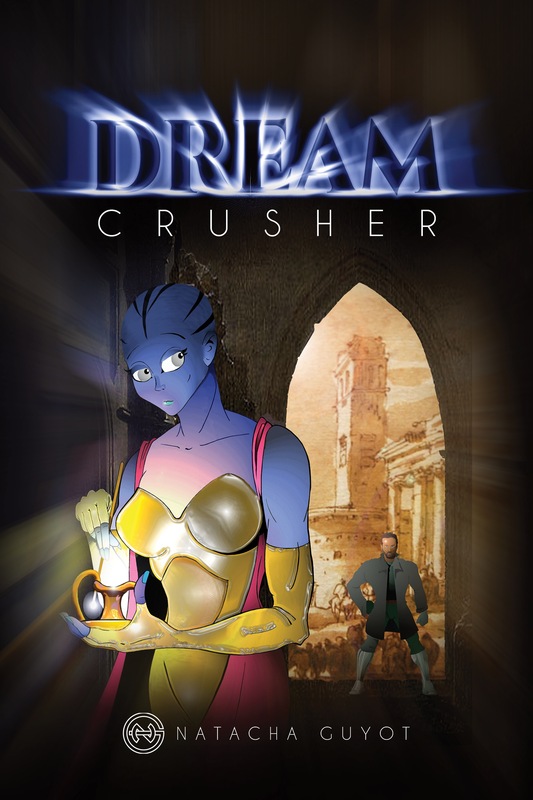 I don’t plan a direct sequel to Dream Crusher, but will continue to write more stories, whether featuring the protagonists of the novella or brand new characters. This is also why I chose to include a bonus short story in said universe, Homeless, in the print version. I have loved storytelling since I was a child and creating new worlds is one of my passions. That was why I have always written in the Science Fiction (or Fantasy) genre. Even my nonfiction and academic works relate to Science Fiction. Dream Crusher was originally a short story and liking the characters and the world as I did, I decided to expand on everything and this was how I realized I would continue to write in this universe. Among my greater inspirations to write Science Fiction, you find Star Wars (including many Expanded Universe titles), C.J. Cherryh’s Serpent’s Reach, Anne McCaffrey’s Dragons of Pern. Joseph Campbell’s work has also been very inspiring to me. Wrestle with the stories and characters to make them understand I will only write one project at a time, but will still engage in note-taking for any other projects. Trying to tell the characters to keep quiet by my bedtime is going better but I still recall my Clairvoyance Chronicles villain decided to tell me his whole background (since Stone Age) at 1am one night. I try to keep organized folders pertaining to individual writing projects, as well as a document for bullet point short/vague academic papers. (You can find more about my writing process with my Digital Quill’s Writing Tips blog series.) Organization, perseverance, patience and learning not to be a perfectionist and burning out are reflected in several of my character, but not necessarily in a single one of them. I had to work more on the history of the system where my story takes place, how humans came to live there a few generations ago, and what happened between the other species. I needed that from the start, but more so as I realized it would become a novella and a universe where more stories would take place. Developing the different cultures, at least to a point where I could understand the interactions was important to me. It tends to be a pattern in my writing as I tend to have multiple groups interact to different degrees in my fiction. Works I wrote when younger tended to be more focused on two groups, but in the past years, I tend to have more than two. I always have solid character background and the extent of the world building depends on what I need for the given story. I was playing a lot of videogames while working on this project: Star Wars: The Old Republic, Mass Effect 2, Torchlight II, and the immersive aspect of gaming inspired me for how I depicted some of my settings. I am not a huge comic book fan, but I love the Yoko Tsuno series and it has had influence on several of my stories, including Dream Crusher, whether with the multi-species or Morden’s heterogeneous team. I am overall a huge Science Fiction fan, whether in books, TV shows, video games or movies. And I love compelling female characters (some of my favorites are Dana Scully from The X-Files, Leia Organa and Mara Jade from Star Wars). Dream Crusher is my first title with a male protagonist, but I consider Vahika of great importance in the story and naturally had several supporting female characters develop as I wrote the novella. Thank you Natacha for stopping by and answering these questions and letting us get to know you better! For more information about Natacha and her works…You can connect with her via NatachaGuyot.org | Twitter | Facebook | Goodreads | LinkedIn. 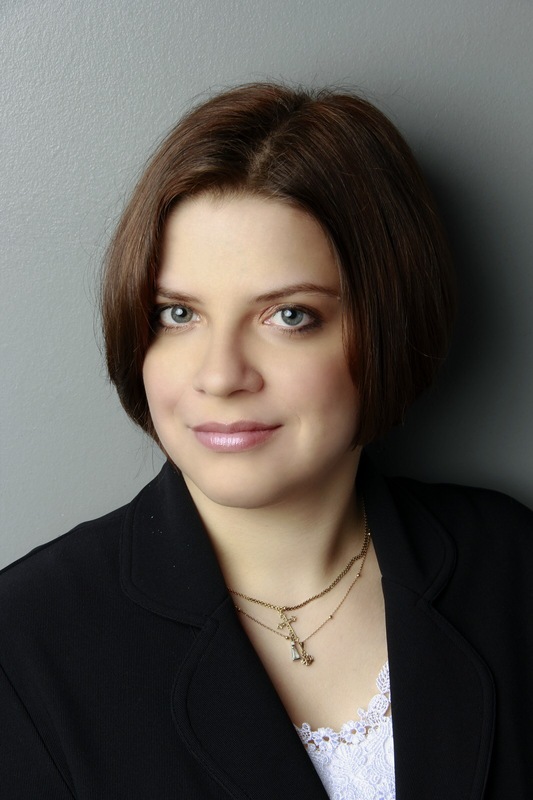 Natacha Guyot is a French researcher, author, and public speaker. After studying at Paris III Sorbonne Nouvelle and King’s College London, she relocated to Texas in summer 2016. There, she has embarked on a new academic journey: she started doctoral studies in Arts and Humanities at the University of Texas at Dallas.Her main fields of interest are Science fiction, Gender Studies, Children Media and Fan Studies. Besides her nonfiction work, she also writes Science Fiction and Fantasy stories. She is a feminist, nerd, Christian, cat lady, book dragon and Earl Grey drinker.